The population of older American Muslims is growing and increasingly needs assistance with home care, transportation, and maintaining their physical health—three factors critical to their physical quality of life. Past generations were able to directly care for their elders. Due to changing lifestyles and family structures, longer life spans, and the rise of chronic disease, direct care of parents and other elders is not always possible. Some older American Muslims realize this and are willing to explore formal care options. However, the options that exist currently are not always culturally sensitive to the needs of older American Muslims. Some mosques are willing to create programs for seniors spiritually and socially, which would enhance their emotional health and well-being. 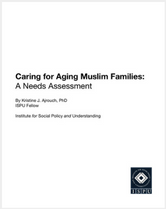 However, community will and prioritization on aging have been low, and they are generally not prepared to serve the needs of older American Muslims. Mosque leaders would like individuals, families, and the community to converse openly about aging and to look beyond the mosque to fulfill the care-related needs of older American Muslims. In many cases, caring for the older population is limited to caring for one’s parents. Islam, however, strongly guides the community to care for all elders. Knowing this and that the population of older American Muslims is increasing, proactively and systematically addressing their needs is critical. 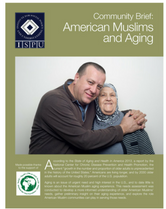 This study initiated inquiry into the dynamics of aging Muslim families in the United States. 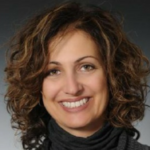 Through multiple modes of data collection, this study yielded results that raised important issues faced by all of the Muslim families surveyed, as well as aspects that may be prevalent depending on ethnic group or immigrant status. Findings will help stakeholders in the Muslim community to direct their attention to key areas as they support the needs of a growing population of older adults. For elders and families, the study showed that relationships with both younger generations as well as same-age peers represent an important area of well-being. For religious leaders, it showed the importance of talking openly and regularly about aging issues, vigilantly emphasizing how important the roles and responsibilities are of the entire community, above and beyond the family, to address care needs. For service providers, the study showed that though needs related to aging are similar for all surveyed Muslims, the experiences of receiving help and satisfaction with that help varies to a certain extent by race and ethnicity. For community-based funders, the study showed the importance of proactive planning and prioritizing aging as a critical issue for the American Muslim community. 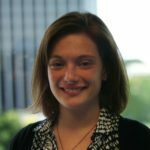 Finally, for local and state government policy makers and legislators, it showed that supporting community-based initiatives that attend to the needs of aging Muslim communities may yield effective results that enhance the lives of elders and their families, as well as community and society.